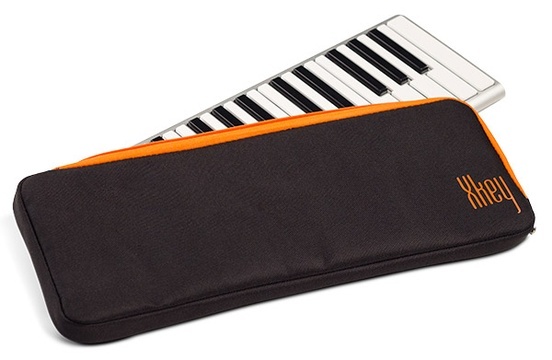 The Supernova Neoprene carrying case is styled with trendy orange accents, two zippers that wrap around two sides of the case, and offers interior foam for superior protection. Whether you're off to the studio, classroom, or just on the road, this case is ultra-lightweight and compact, and will fit your CME Xkey like a glove to protect against bumps, dust, and scratches. CME Xkey not included. .